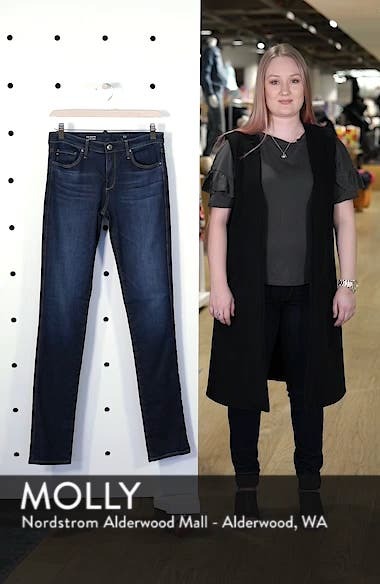 A flattering dark wash lends sleek versatility to straight-leg jeans cut with a slim silhouette that easily takes you from day to night. Choose a sizeWill stretch with wear. If between sizes, order one size down. 23=000, 24=00, 25=0, 26=2, 27=4, 28=6, 29=8, 30=10, 31=10-12, 32=12-14. Mid rise.